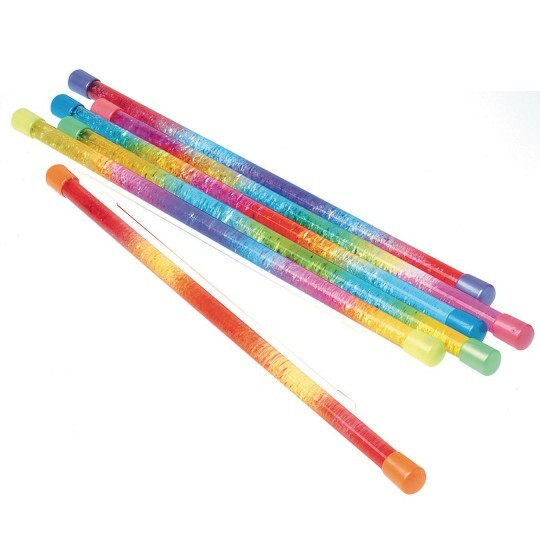 Dazzle your audience as you twirl these sparkling rainbow-colored plastic batons or add some colorful style to your next relay race! Assorted rainbow colors. Each measures 18”L. Good quality and sturdy item! These items are nice and sturdy. I was very pleased with the quality especially for the price! I will definitely be buying these again for an annual festival I help put on.